Two African students will now be able to attend the Jambo Jipya School in Mtwapa, Kenya due to the fundraising efforts of Charles A. Reinhard Early Childhood Center’s Student Advisory Council in the Bellmore School District. The students collected $500 for Reason 2 Smile, a nonprofit organization providing opportunities for children to attend the Jambo Jipya school, as well funding their living quarters at the accompanying children’s home. Ms. Rosenblum gave a presentation on life in Mtwapa, noting the differences between living in Kenya and the United States. She also showed the students photos of the school and the accompanying home, as well as photos of her trips to visit the children housed there. 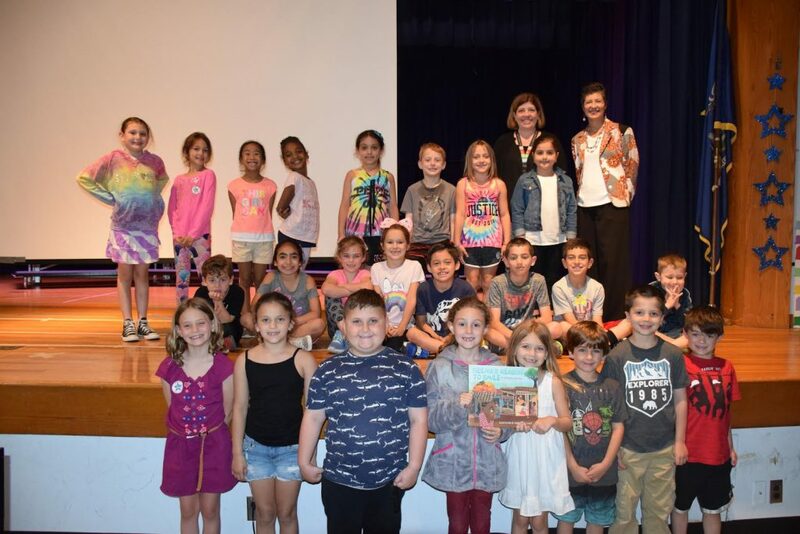 Rosenblum also thanked the students for their generous donation and donated Patricia Newman’s “Neema’s Reason to Smile” to the school library. Photo caption: Back-right, Charles A. Reinhard Early Childhood Center Principal Patricia Castine and Reason 2 Smile Executive Director Donna Rosenblum are pictured with members of the school’s Student Advisory Council, who collected funds to send two students to the Jambo Jipya school in Mtwapa, Kenya for a year.